"Dear Mr. Macron, neither left nor right? Do not forger then to take a good GPS"
"Dear Mrs. Le Pen, knowing you want to close the doors, do not forget to take the top down." 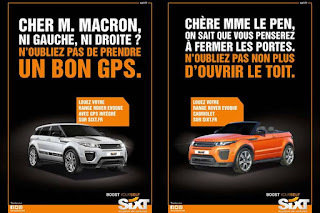 Sixt Rent a Car a has a runaway success (I almost typed runaway car!) 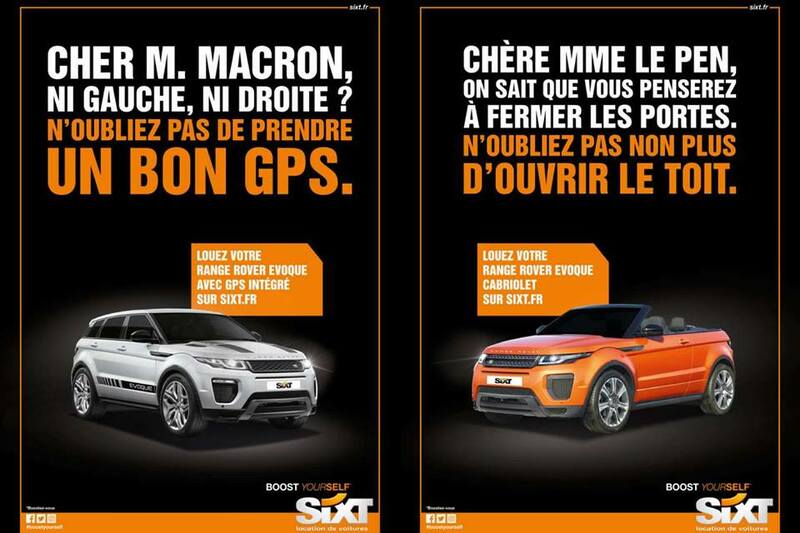 in the French presidential elections' second round. Well, sometimes one has to laugh in the face of adversity, God knows Jordanian Airlines were doing so in the US elections!